Oh Roddy, what have you become? Do you even remember the days when you strutted around with sneering punk attitude, shouting about anything and everything? Back when hope was important. Of course, Roddy Woomble didn’t hang around with that punk lark for long. Idlewild were never really a punk band after all. They just acted like one and made a hell of a lot of very messy yet endearing noises. Then they sort of calmed down a bit and made ‘100 Broken Windows’ – which is still one of the best British rock albums ever released. Our hero became less concerned with moaning about stuff and instead began to wax lyrical about Gertrude Stein and post-modernism. Hell, by the time Idlewild released ‘The Remote Part’ in 2002 they even verged on sounding arena ready. Angry Roddy was long gone, sensitive Roddy was here to stay. Idlewild are still going today and their work has remained in the spiky but always melodic alt-rock camp that it has occupied since ‘The Remote Part’. They have always struggled to escape the ghosts of their past though. In December 2010 they toured ‘100 Broken Windows’ again, as if accepting that it has always, and shall always be, their creative peak. Yet something doesn’t make sense. In 2006 Roddy released a solo album called ‘My Secret is My Silence’. It was a folk record and it was actually really good. In fact it was better than anything Idlewild have released since 2002 and it was all centred on the distinctive voice of Mr. Roddy Woomble. There were delicate acoustic melodies and soaring vocal support from Mercury Prize nominee Kate Rusby. Yet it wasn’t actually that difficult from what Idlewild had done with 2005’s ‘Warnings/ Promises’. It was just better and executed with a wonderfully graceful simplicity. Above all it was passionate. It felt like Roddy was singing these songs to you, it was a personal experience. Despite the acclaim his debut was afforded, Roddy had no plans to make a second solo record. Idlewild have released two, decent but nothing special, records in the years since the first and the only other activity in the Woomble camp was working with Kris Drever and John McCusker on another folk project. Everyone kept harping on at him to do another record all of his own though and so he did and here it is. ‘The Impossible Song & Other Songs’ isn’t quite as stripped down as its predecessor but once again everything revolves around that wonderfully warm Scottish baritone that so many have come to know and love. Right from the off it greets us like an old friend, accompanied by the thoughtful and heartfelt lyrical content that the modern Roddy has always produced. There is also a new selection of additional influences, from the disparate worlds of country and of jazz. 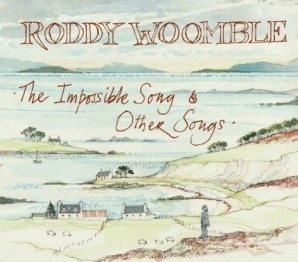 Things never sound forced though and one cannot help but feel that, whether he originally anticipated making another solo album or not, this is a record with Roddy Woomble feeling at home, feeling like he is actually doing what he wants to be doing. With Idlewild on hiatus and, depending who you talk to, in something of a creative rut, it is clear that Roddy has no such problems. From the moment that the delicate strains of ‘A New Day Has Begun’ start the album to the closing bars of ‘Between the Old Moon’, ‘The Impossible Song...’ sounds like Roddy Woomble welcoming you into his sitting room and onto the couch. As a whole the album feels cosy, as if Roddy is the guy who sings at your local pub every week rather than the frontman of a moderately successful rock group. It is difficult to pick out highlights because nothing falls below the standard of excellence. This is a new album but within a couple of weeks it will feel like a reliable and trustworthy companion, always there to perk up a smile and prompt a quiet singalong. There is no longer any need for angry Roddy, or for literary Roddy, or even for arena rock Roddy. I think that ‘The Impossible Song & Other Songs’ has given us the real Roddy and, let us be honest, what more could we possibly need? ‘The Impossible Song & Other Songs’ is released on March 21st via Greenvoe in partnership with EMI. 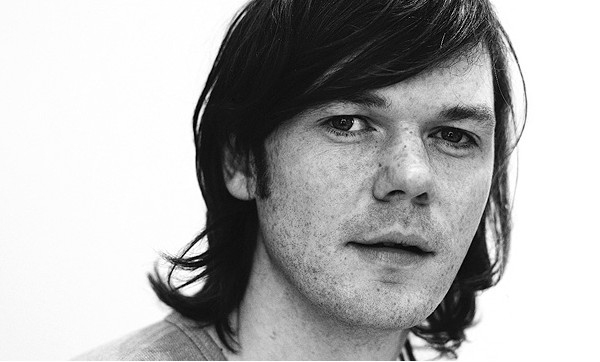 Roddy Woomble tours the UK in March and April. 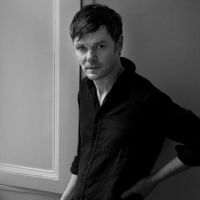 Roddy Woomble has announced UK shows. Idlewild's Roddy Woomble has confirmed that his fourth solo LP will arrive this autumn. Roddy Woomble has shared a new solo single.